A sleep apnea oral appliance is a device that can be placed in your mouth while you sleep. It is similar to a retainer or a mouth guard and helps keep your airways open, which reduces snoring and sleep apnea symptoms. If you are a chronic snorer or have sleep apnea, our Pasadena sleep apnea oral appliance provider can help. Our expert in sleep apnea oral appliance in Pasadena custom fits patients for oral appliances to ensure the most effective treatment experience possible. We work together as a team to identify any underlying conditions or contributing factors that could be causing or worsening your sleep apnea symptoms and will recommend a personalized treatment plan to help reduce your symptoms and improve your overall functioning. CPAP is the most common treatment for sleep apnea and offers excellent results for most patients, but not everyone tolerates it well. Oral appliance therapy is an excellent alternative for patients with mild to moderate symptoms who prefer a smaller, more portable and easier to use solution. Our Pasadena sleep apnea oral appliance provider may recommend one of two different styles of appliances. The mandibular repositioning device gently repositions your lower jaw, which helps keep the airway open. This is the most common type of sleep apnea oral appliance. The tongue-retaining device is another style, and it is designed to keep the tongue and soft tissues out of the airway. 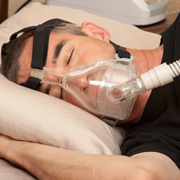 Sleep apnea is associated with potentially serious health problems. The right treatment plan can help reduce associated risks and alleviate symptoms. You will have greater concentration, feel more alert during the daytime and experience fewer mood swings. Oral appliances offer other benefits as well. They are easy to use and easy to wear. As with any treatment, some patients may experience an adjustment period that can include increased salivation, dry mouth and jaw discomfort. Unlike CPAP, oral appliances are easy to transport and are small enough to carry in a purse or bag. Contact our office today to learn more about various treatment options or to schedule your appointment with our expert in sleep apnea oral appliance in Pasadena.